Found the book very good at least the second half. The Yuki story line was dragging quite a bit at first but finally picked up. Did find the first half slow. Still love the Women’s Murder Club series and think it’s one of the best. This is the 17th women’s murder club novel that I’ve read. That is to say I’ve read them all — they are JUST THAT GOOD! 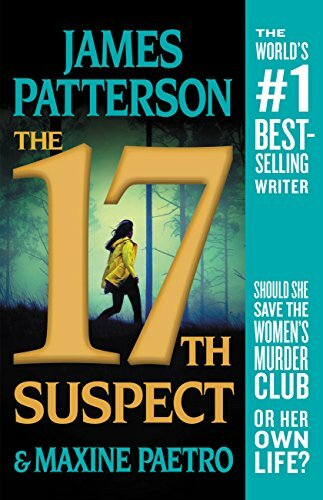 The 17th Suspect has all of the suspense and drama you have come to expect from the series, while preserving the warm relationships between the “girls” and with the men in their lives. The only bad thing about the Murder Club series is the length of time you have to wait for the next book. BRING ON THE 18th James and Maxine! I know these ladies well by now because James Patterson introduced them a long time ago, and they tell a stories of murder and love and loyalty between these women who are in law enforcement except for one who writes for a newspaper. James Patterson does not disappoint.